As new cities are developing and more new buildings are being built, cities are also demolishing existing buildings. The demolition process is a complicated step and can also be dangerous. 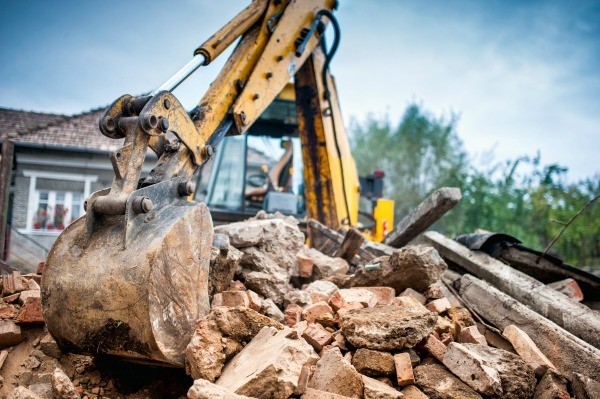 In previous years, there have been many accidents where many individuals get injured when a demolition occurs. Why do these accidents happen? All situations are different, but sometimes because of a poorly executed demolition safety plan. Insurance- Demolition Contractor should provide a current copy of their certificate of insurance and should be current during the whole process. Permits-Demolition permits should be need to be present before a job starts. Safety Equipment-Hazard protection devices for job safety should be worn and in the site at all times. Warning signs should also be put around the perimeter of the site. Survey (Engineering Survey)-A crucial step is to have a demolition contractor complete this survey to determine whether the property is safe. This can include making sure that asbestos and lead based paint is taken care of prior to the demolition. Above are the basic components that will help the demolition contractor and the whole team be safe. In addition, also keep spectators safe during the implosion process. Creating and following a demolition safety plan will ensure the safety of the public, employees and contractors.